How is your skin made? Complexion is something that we do not deliberately choose. Infact, it is natural. In the present times, more and more people are becoming beauty conscious. 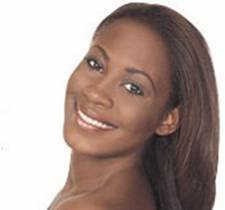 It is owing to this fact that dark skin has become a cause of worry for many. Some people have a naturally dark skin, while others experience darkening of skin due to several factors like hyper pigmentation. 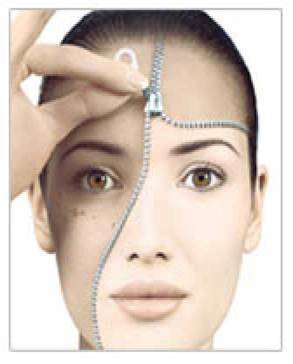 When there is excess of skin pigment called melanin in the body, it leads to darkening of skin. When the skin produces excessive quantities of skin pigment called melanin, it causes the skin to become darker than usual. Certain skin disorders like Lichen Simplex Chronicus, makes the skin look dark and patchy. Suntan is one of the most common skin problems, in which the skin turns dark due to overexposure to sunrays. Prepare a natural skin pack by mixing 1 tsp of milk powder, 1 tsp of honey, 1 tsp of lemon juice, and ½ tsp of almond oil. Apply the pack on face and wash it off after 10-15 minutes. It is an effective remedy to lend glow to the skin. Take a raw potato and cut fine slices. Place a potato slice on your face. It will help in removing the tan and improving your skin tone. Make a paste using limejuice and turmeric powder. Apply it on your face. It acts as fabulous natural bleach. Mix dry orange peels with curd and apply on the blemishes. Wash it off with cold water after 15 minutes. A well proven herbal treatment by Dr & Hakeem Tariq Mehmood Taseer for the different causes of Dark Skin problem. Results are very quick and free from any side effects. Skin cancers are the most common form of cancer in the West, particularly in people such as farmers who are exposed to lots of sunlight. One form of skin cancer, malignant melanoma, can spread to other organs very rapidly. Successful treatment depends on catching the disease in the early stages. Cancers An abnormal or uncontrolled growth of the cells that make up the skin can be benign or malignant. If this growth is able to invade neighbouring tissues or spread to distant organs in the body (metastasise), it is known as malignant. Basal and squamous cell carcinomas are often grouped together and referred to as non-melanoma skin cancer. The main risk factor for any type of skin cancer is exposure to the intense ultraviolet light of sunshine. It is particularly common in places where the sun is strong, such as Australia, and less common in people with dark skin. 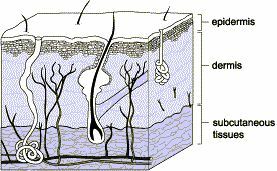 The skin is made up of three layers: the outer epidermis, the dermis below this and the supporting subcutaneous layer of loose tissue and fat – see diagram. Cells in any of these layers can be the origin of a cancerous growth. These are not cancers. Benign skin growths include warts, moles, or corns, which are rarely serious problems. There are other, less common benign skin problems that can become malignant. These include: Bowen’s disease: A pre-cancerous skin condition which looks like a red scaly area of skin, and is restricted to the epidermis. If left untreated, it can develop into a squamous cell carcinoma. Actinic keratosis: This is a small lump of hard skin, commonly seen in areas exposed to the sun. The condition is usually harmless, but there is a very small risk of them transforming into squamous cell carcinomas. Basal cell carcinoma (BCC) Also known as a rodent ulcer, this is the most common form of malignant skin cancer. A BCC arises from cells in the epidermis. 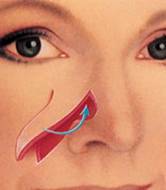 Typically it affects only small areas, grows slowly and does not spread to other tissues. Consequently a BCC is not usually life-threatening. However, if left untreated, the cancerous cells can grow deeper into the skin. BCCs are associated with sun-exposure and often affect the face. Squamous cell carcinoma (SCC) This is the second most common malignant skin cancer, and in rare cases it can be life-threatening. They arise from cells in the epidermis and spread into the surrounding skin, but can also spread to nearby lymph nodes. SCCs appear as thickened skin, nodules or lumps, or can appear as an ulcer. They can be caused by sun exposure and certain viruses that affect the skin, and can occur in old scars. Malignant melanoma This is a particularly dangerous form of skin cancer and often spreads to other tissues or organs. Although it can develop from moles in the skin, most melanomas arise from a pigment-producing cell found in the epidermis. Melanomas resemble moles on the skin, but there are differences. The following list of features can help distinguish a melanoma from a normal mole. asymmetry: A melanoma skin lesion is usually an irregular shape. colour: There is a variation of colour within the lesion. diameter: The lesion is bigger than 6mm across and/or has increased in size recently. elevation: The lesion is raised above the surface of the skin. Other features which may indicate skin cancer include any spot that changes in size, shape, or colour; itches, bleeds or forms an ulcer. Although these signs do not necessarily indicate skin cancer, you should visit your doctor to have it assessed as soon as possible. How is skin cancer diagnosed? If skin cancer is suspected, your doctor may recommend a biopsy, which involves removing a sample of the skin from the affected area for examination under a microscope. If necessary, you will be referred to a skin specialist (dermatologist), a cancer specialist (oncologist) or a plastic surgeon. If there is a risk that the cancer may have spread to other organs, other tests such as CT or MRI scans, and X-rays may be needed to check for this. Prevention Be “sun aware”. To reduce the risk of skin cancer, minimise your exposure to the sun. Always use sunscreens, wear protective clothing and remain in the shade as much as possible, and especially between 11a.m. and 3 p.m. when the sun is at its strongest. Don’t use sunbeds. Be vigilant: the earlier a skin cancer is identified and treated then the better the outcome. You should show your doctor any skin lesion, which is unusual, new or changing shape as soon as possible. A very effective Ayurvedic treatment for skin cancer by Dr & Hakeem Tariq Mehmood Taseer. Is an expert in treating the various causes of skin cancer with very quick and effective results. Natural skin care and beauty recipes like face-packs, facial masks and scrubs, based on herbs and natural ingredients provide natural oil and moisture to the skin and help to get flawless skin and beauty. Clean your skin every evening – The skin pores get blocked dut to exposure to air pollutions, wind, sun, air conditioning, dirt and grime from our fingers. It is really important to remove stale make-up, perspiration, dirt, dust, excess oil etc. Use a good, natural cleanser that removes only the impurities without stripping the skin of nutrients and moisture. 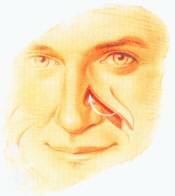 Wipe your face with a piece of cotton wool dipped in milk (unboiled or not heated). Almond oil is a good cleanser for skin under the eyes. Clay helps to deep cleanse and draw out impurities and to soften and condition the skin. Moisturing helps to protect your skin from daily pollutants. Moisturising morning and evening with a natural moisturiser will hydrate, moisturise and protect your skin. For a moisturizing and nourishing mask, blend a mashed banana with white cosmetic clay and apply. For normal skin care, mix 1 cup yogurt, 1 tablespoon orange juice and 1 tablespoon lemon juice and apply it on your face. Clean it off after 20 minutes. For dry skin care, use a mixture of cooked oatmeal and honey; it is a very good moisturizer and cleansing agent. For Hands: Mash a banana with some butter and rub on your hands. Before Shower: Body brushing helps exfoliate, tone and stimulate the skin as well as helping the natural drainage of our lymph glands. Dry body brushing before a shower with a natural bristle brush. Always brush upwards to the heart in quick, rhythmic strokes and brush down to the heart when you reach the shoulder/neck area. After Shower: Apply body lotion. Water is a natural hydration for the skin. Avoid excessive exposure to sun. It may result in sunburn. Read the treatment for sunburn. Avoid excessive use of cosmetics. Health experts say that excessive usage of cosmetics by children enhances their risk to various types of cancer and other problems later in life. Most of cosmetic products use potentially dangerous chemicals like parabens and phthalates. The parabens chemical have been recently found in breast cancer tissues. This chemical can affect the hormone oestrogen. The phthalates are linked to lower sperm counts in men, premature breast development and allergies. Regular sleep gives our body the chance to work on repairing cells. Regular Exercising and massage stimulates circulation and blood flow. Drinking eight glasses of water a day keeps skin plump, hydrated and healthy. The body is composed of 70% water. Well hydrated skin is healthy and young looking. Take only warm showers and stay away from prolonged sauna exposure. Stay protected from the sun to prevent the skin from becoming dehydrated and the damaging effects of UV rays on the skin. Eat a balanced diet, avoid foods high in fat, cholesterol and sodium. Follow an anti-aging diet rich in fruits and green leafy vegetables that are full of natural antioxidants. 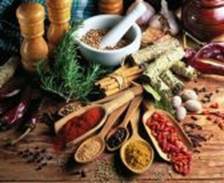 Antioxidants help prevent free-radical damageto the body. If you do not get enough antioxidants from your diet, then your skin cells could lose their ability to function well. The antioxidants include ingredients such as vitamins A, C and E, flavonoids, beta carotene, selenium, glutathione and zinc. Eat foods high in antioxidants. 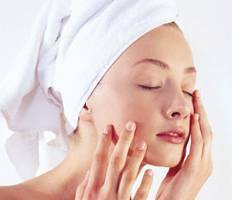 Homemade beauty care recipes like face-packs, facial masks and scrubs based on natural ingredients help improve the skin disorders like blemishes and acne scars. They provide natural oil and moisture to the skin. Making a facial mask at home is quite easy and inexpensive. You may have all the ingredients in your kitchen to make a fabulous natural “homemade facial mask”. Home made facial masks containing natural ingredients are quick and simple to create at home. In the following homemade facial masks for different type of skins i.e. oily skin, dry skin, combination skin, ageing skin, etc are given. This is the traditional mask, also used for a bride, seven days in advance of marriage. Take in a cup half a cup of besan (gram flour), 2 tsp of turmeric powder, 2 tsp of sandal wood powder, 2 tsp of ghee or almond oil, add some water to make a paste. Apply to face and whole body and leave for 5-10 minutes. Rub with pressure with both palms and fingers to remove all the paste. Mix 1 tsp. brewer’s yeast with plain yogurt to make a thin mixture. Apply it thoroughly into all the oily areas and leave for 15 – 20 minutes. Rinse with warm water, then use cold water to close the pores. Mix 1 tsp. of butter in 1 teaspoon of water. Apply it thoroughly into all the dry areas and leave for 15 – 20 minutes. Rinse with cold water. Mash the meat of the avocado into a creamy texture. Apply it thoroughly on face and leave for 15 – 20 minutes. Rinse with warm water, then use cold water to close the pores. Choose the right clay for your skin type. Add plain water or floral waters or try wetting agents such as fruit purees . Make a thick paste of the clay. Apply the mask to your skin and let it dry for 20 minutes. Rinse well with warm water and pat dry. Repeat weekly. Mash 1 whole cucumber, strain water, add 1 tablespoon of sugar and mix well. Put in a container ,l keep refrigerated and take out whenever you want to use it. Apply on your face and leave for 10 minutes, then wash with cold water and enjoy the smoothness of your skin. Make a paste of some powdered with milk or lemon juice if you want to fade spots on your skin. Blend 1 egg white, 2 tsp vegetable oil and 1 tsp apple juice until smooth. Mix 1 egg white, 1/2 cup cooked instant oatmeal and 1 tsp olive oil until smooth. Apply a raw egg yolk and rinse with cold water. The high vitamin A content of egg is very effective in healing blemishes. Mix well 2 parts milk,1 part fuller’s earth clay, 1 tsp honey and essential oil. Blend 1/2 tsp lemon juice, 1 egg white, 1 tsp honey (heat in microwave for a few seconds to melt it), 2 strawberries and 2-3 drops eucalyptus oil or jojoba oil (optional). Mix well a tsp of baking yeast in a some warm milk. Make a paste by mixing some potato flour in tomato puree. Rub some Milk of Magnesia, and let dry, then rinse with lukewarm water. Mix ½ avocado (or 2 tsp avocado oil) with ¼ cup honey. Mix 1 egg yolk, 1 tsp olive oil and 1 tsp warm honey, some vitamin E oil (optional). Blend 50g ripe avocado flesh, 25g orange juice, 1tsp honey, 1 tsp molasses and 4-5 drops of some essential oil. Rose Mask: This mask is good for both the oily and dry areas of your skin. Take Soak 5 rose petals and soak in water and then crush them. Add 2 Tbsp rosewater, 1 Tbsp yogurt and 1 Tbsp honey (heat in a microwave for a few second to melt it) and mix well. Homemade Facial mask for ageing or maturing skin Take 3 Tbsp sugar and dissolve it in 4 Tbsp warm water. This mask is good for maturing skin and will help soften the wrinkle lines. Homemade Face mask for chapped or sunburned skin Mix 1 cup plain yogurt and ½ cup oatmeal and apply to the skin for 15 minutes.